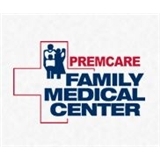 PremCare Family Medical Center (Orlando) - Book Appointment Online! OUR APPROACH is the prevention, proper diagnosis, and treatment of diseases. With the challenges we face today, we aim to take care of our patients for life in the office or clinic, during hospitalization and intensive care. Dr. Rasool is affiliated and on the medical staff of two premier hospital facilities in the area – Orlando Regional Medical Center & Florida Hospitals.